There are a lot of films about trains on TV…And, there always have been. John Betjeman made films of himself sitting on rural station platforms all through the 1960s. The humourist, Miles Kington made films about old steam trains during the 1970s…Nowadays the former politician, Michael Portillo, travels the network around the UK, and ventures abroad with his Bradshaw’s Guide (published 1914). The ex-Python star, Michael Palin, has travelled all around the world by train, courtesy of the BBC. And now, there is a whole sub-genre of films about the Indian railway, its employees and its passengers. But, this is all much harder to get right than you would think. The comic, Griff Rhys Jones, has just set off on a train trip through Africa on ITV. This was really disappointing and set me thinking about what makes a good railway film…I’ve posted before about feature films; but this is a post about TV, documentary-style, films. Part of the appeal of trains, from a producer’s point-of-view, is that they are relatively inexpensive…the action is contained, and the scenery moves past the window. In addition the films have a natural story-arc of journey; with beginnings, middles, and ends, all in the right place and at regular (train time) intervals. If you’re shameless, like Stephen Fry, you can do it all as a kind of holiday programme, and you get to stay in nice hotels along the way. From the viewer’s point of view, the films are compelling for their mixture of people, places, machinery and history…what’s not to like there? Griff’s film didn’t really work…there were not enough characters along the way…and the immediate social context was sort of African bi-polar, with extremes of poverty and prosperity. 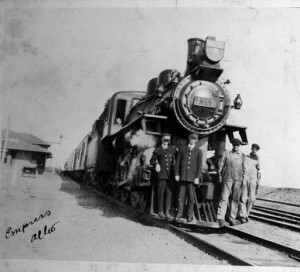 Begin in NYC and travel to Chicago, along the route of the 20th Century Limited. That’s Cary Grant and Eva Marie Saint in Hitchcock’s, North by Northwest (1959). Once in Chicago, explore the skyscrapers of downtown Chicago, and the stockyards of the railhead. Reading a bit of Upton Sinclair along the way. Next, down to New Orleans retracing the story of the Blues, from the Delta to Chicago and via Memphis and Nashville, along the way. From New Orleans to the west coast, and from LA, through the Rockies, up to Canada. 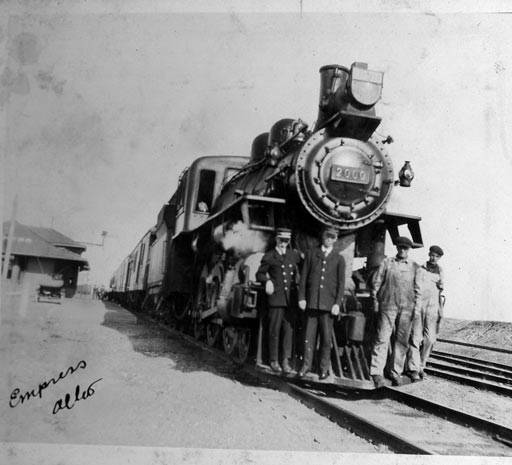 That’s a series of films that would include amazing landscapes, amazing machines and amazing people…all against a background of popular music and imagery deriving from the unique cultural context of the north American railroad. It’s a no-brainer, except that people don’t think of America and trains; they think of the US and cars. Jack Kerouac was on the road, not on the track!